Hurricane Harvey made landfall along the Texas coast almost a year ago, causing immeasurable damage to the lives and homes of the people of Texas. In the aftermath of the storm, we saw an outpouring of support from fellow Texans who opened their wallets and volunteered, and, at times, risked their own lives to help their neighbor. Our Bryan/College Station community was no different. Individuals and businesses donated supplies and funds to B/CS Habitat and other organizations that were helping with the relief efforts. Last fall, B/CS Habitat was able to put together over 100 clean-up kits to take down to Habitat for Humanity of Jefferson County in Beaumont to help mock out damaged and flooded homes. Recovery from a disaster as damaging as Harvey is a long grueling process. Long after the newsreels stop covering the destruction of Harvey, many families and businesses are still struggling to recover. This year, we will be helping one such family. 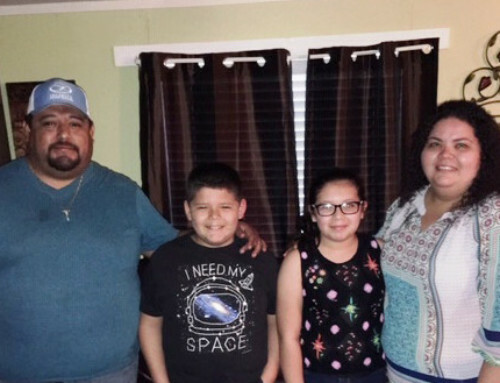 B/CS Habitat along with four local churches, Brazos Fellowship Church, Declaration Church, First Baptist Church of Bryan and Grace Bible Church, will help Beket and Joanne Griffith repair their badly damaged home located in Cypress. 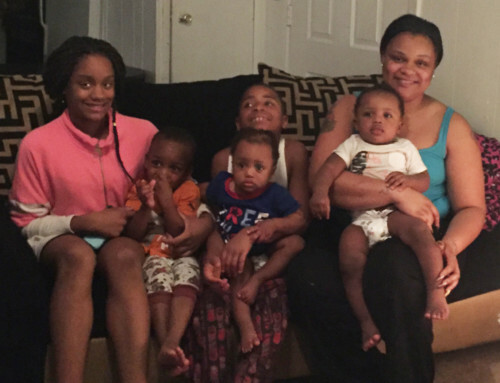 Beket and Joanne have been living in an RV since the hurricane with their five children. The repairs on their house are only 60% complete. They have been working on repairing their house, but the process has been slow. Trying to keep their restaurant, Seasons Harvest, afloat after the hurricane had taken most of their time and resources. This past April, Joanne was diagnosed with breast cancer, and the family is now fighting for Joanne’s health. Over four weekends in August and September, volunteers from B/CS Habitat and the partnering churches will travel to Houston, complete the repairs needed on the Griffith home and move them back into their home so they can have the stability and healing they have been longing for since the storm. Volunteers will be painting and laying down new flooring. 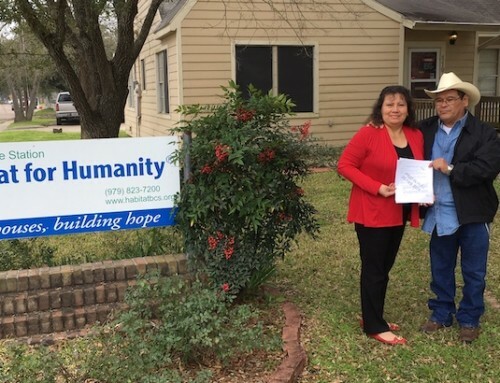 Donations from B/CS Habitat Harvey relief campaign and funds from the churches, totaling over $30,000 will help pay for the replacement and repair of electric, plumbing and HVAC. If you would like to volunteer for or contribute financially to this project, please contact David Hatteberg at dhatteberg@habitatbcs.org. We look forward to giving you updates on the progress of the repairs on our Facebook page, www.facebook.com/habitatforhumanitybcs. We are proud to be a part of a community that is committed to seeing the recovery to the very end. #TexasStrong!